The first church in Kansas City was the St. John Francis Regis that was constructed in 1833 by a reverend known as Rev. Benedict. The presence of this building in Kansas City to date aroused my curiosity to examine the hidden information regarding the existence of the structure in the region as well as its origin. This analysis will be based on both primary and secondary sources for comprehensive acquisition of knowledge regarding the natives as well as the Catholic Church during this period. Thus, the primary information will provide background knowledge concerning the introduction, construction as well as the operational activities of the church in the ancient period. The paper provides the history of the Catholic Church in the city by providing information regarding its role amongst the people who occupied this city in the past. According to Thomas Hornbeck in “Historical Geography of the Catholic Church in Kansas City, Missouri, 1822-1930,” the Catholic Church had a steadfast growth impacting the lives of the natives during its existence period. 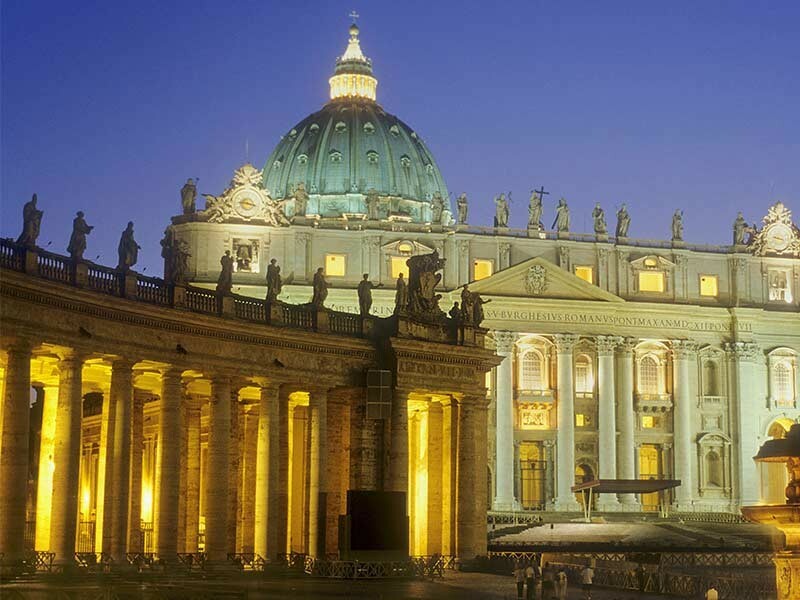 Considering Catholic history in this City facilitates a deeper informative knowledge regarding the geography as well as the culture of the natives of this region during the period considered. Nevertheless, the information is critical in establishing the social and political stands of the natives during this period associated with the religious structures which existed. In this context, the religious inclination was based on the Catholic church. Religion is considered a vital aspect of analyzing the population behavioral aspect as a social feature in the society. The missionaries facilitated the inclusion of Christianity amongst immigrants who moved to the United States of America in the nineteenth century, for instance, the Catholic Church. This church became one of the first churches in this region to influence the beliefs of the natives regarding religion. This book provides the history of French settlers who were first associated with the Catholic church in the region. The French population during this period engaged in a business where the main commodities required in this area were traded. The French Catholics marked the first religious settlers in Kansas City. Amongst these traded commodities were fur that was demanded by most buyers in the region. However, as the city developed other communities joined the French settlers in the region. These settlers include the Irish, Germans as well as the Italians who got interested in the City years after the French settlers had occupied the region. The construction of this early church is associated with erection and demolishing of several Christian structures in the form of parish boundaries. In the process, several churches were closed as others were opened depicting the evolution of these churches. The construction process facilitated the spread of Christianity throughout the United States during the ancient period. The emergence of the Catholic religion is associated with migration as well as the immigration in Kansas City in the ancient period. Moreover, the trade system establishes during this period is associated with the European settlers who occupied the City in the ancient period. Therefore, the city became a Metro known area for different businesses of the commodities that were highly demanded. The immigrants carried their cultural beliefs influencing the natives culture as well as religion. For instance, the western people brought commodities for trade such as goods as well services associated with their respective culture and religion. They used their religion to influence the beliefs of the Kansas City natives inhabitants. The construction process of the city resulted in the deviations depicted in the globe starting with the Kansas City. In this context, the natives were able to adopt new forms of beliefs and cultural norms that was brought by the church amongst the inhabitants of Missouri. The church is associated with different forms of construction processes. The construction tasks were perceived as a source of employment opportunities amongst the natives of this City. This process resulted in certain ideologies regarding the architectural sector in the geographic region occupied during this period. According to Capps and Soto in their article, 13%of the Kansas City occupants by 2014 were immigrants linked to the Catholic faith in the region. The Church doctrines led to the establishment of a Diocese led by Pope Leo XIII who pioneered its setting in the seventeenth century. The establishment of this building led to a high tower that attracted a reaction from several inhabitants in the region as well as beyond. Some of these unique features include the glasses that were stained and drew depicting biblical verses that were used to influence the perception of learners. The features also involved the sequential life of Christ regarded as an inspirational historical story. Moreover, there were eleven bells that were hanged in the building representing various saints that had served in the church before their deaths. These saints included St. Anne, St. Thomas, amongst others saints who existed during this period. The artisans during this period were involved in the establishment of the distinct features in the Cathedral building. For example, the structures forming windows, the doors as well as the roofing system were produced based on the artisans’ architectural advice. Thus, the inclusion of local artisan ideologies created the sense of ownership amongst the natives within this City. The dwellers owned the religion due to the structures used to establish its beguiling in the region. The building symbolized the original aspects of the City depicting originality of the culture and senses of ownership amongst the locals. The operation of the Catholic Church built in Kansas City influenced the lifestyle of the region natives. The religion that had just been introduced amongst the City natives recognized their cultural, social as well as the economic issues in their daily operations in the governing system from history. According to Shortridge the form of religion introduced amongst the natives by the immigrants resulted in the civilization process depicted through the interaction as well as the assimilation processes. Moreover, the civilization process led to the adoption of diversity as a result of the mixed races associated with different cultures within the City.